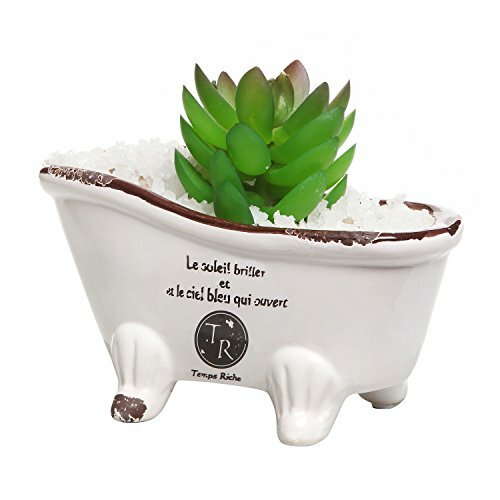 French Country vintage-style porcelain claw foot bathtub is a beautiful addition to the popular French decorating theme. Old french script written on the bathtub and weathered edges add vintage flair. The classic white bathtub is contrasted with dark brown outline of the rim and rustic script. This unique planter is perfect for succulent plants. It can also serve as a soap dish, accessories tray or display as an elegant decor. Approximate Dimensions: 6" L x 3.3" H x 2.5" W.